We talk over the telephone almost every hour. Speaking on the phone is a part of our daily routine. 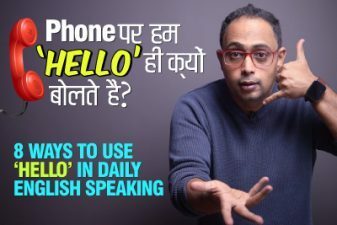 In this English speaking practice lesson in Hindi, you will learn some useful English phrases to speak over the telephone in English. This Telephone English lessons also covers some useful vocabulary related to telephone conversation. Michelle your English teacher has compiled some useful ready to use English sentences to speak over the phone in different situations. Learn some English phrasal verbs that would help you to explain different activities related to telephonic conversation. 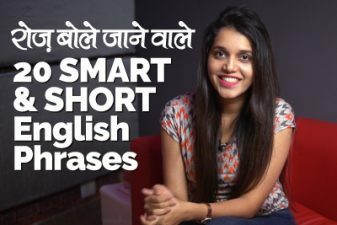 Watch th complete lesson and we hope this English lesson through Hindi would certainly help you to speak confident English over the telephone. अरे जिग्नेश क्या तुम मेरी रोशनी से बात करवा सकते हो?